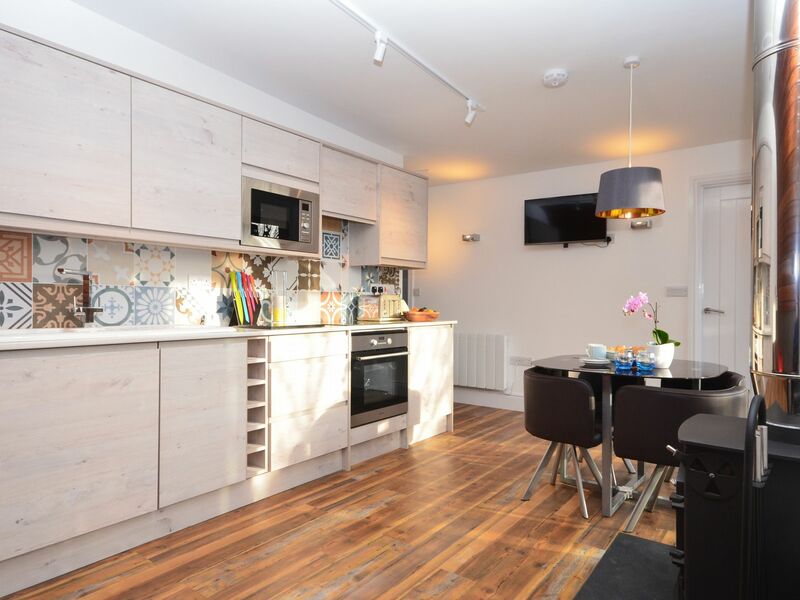 This property is located just outside the seaside town of Westward Ho! 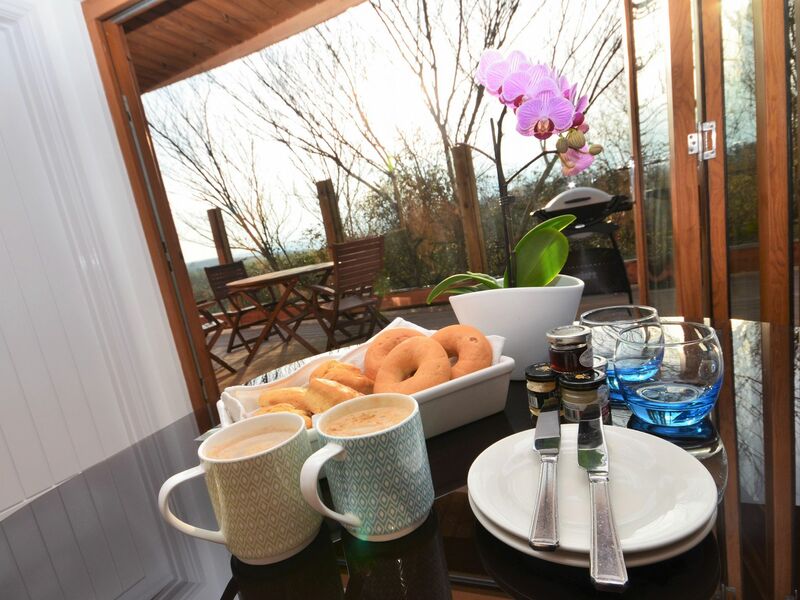 within the grounds of a stylish gastropub which offers delicious home-cooked food right on the cabin s doorstep. Just a mile down the road Westward Ho! s town centre offers a range of shops and cafes as well as its impressive two mile wide sandy beach which is a popular destination for families and surfers alike. 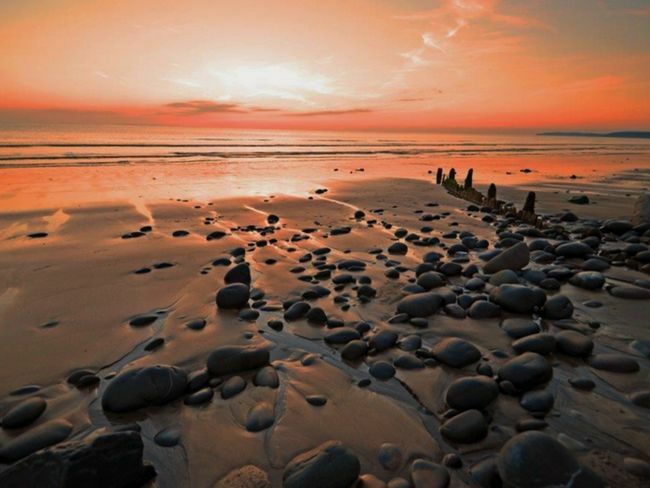 At one end of the beach Northam Burrows Country Park offers a quiet place for a walk amongst the attractive sand dunes. Other places of interest in the area all within a ten minute drive of the property include the fishing village of Appledore the historic harbour town of Bideford and The Big Sheep. 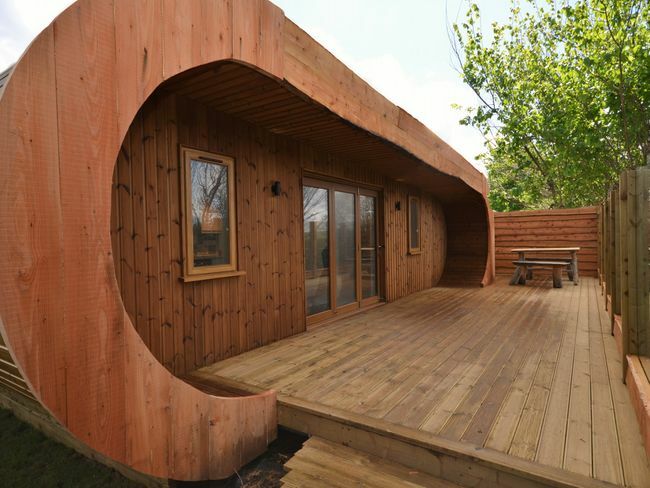 This bespoke cedar pod makes for a unique and relaxing place to stay situated within the grounds of a fantastic gastropub. 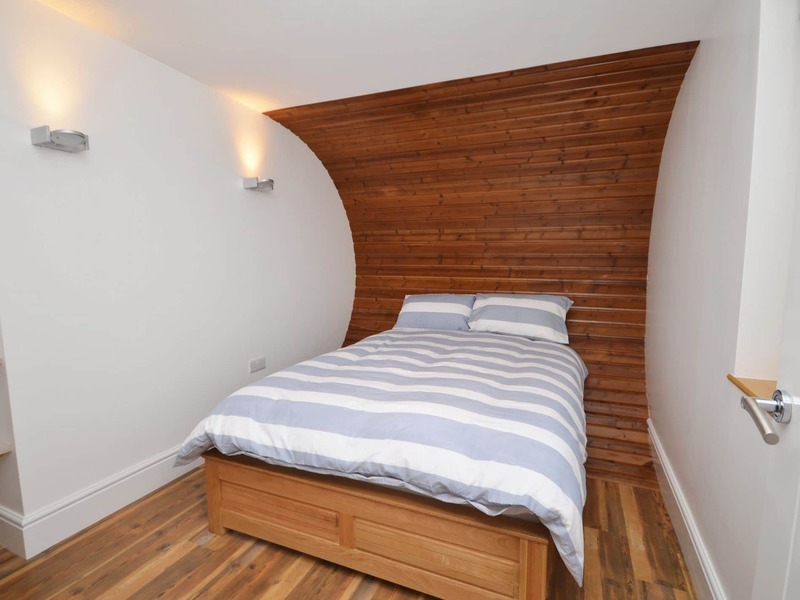 The stylish cabin with its curved wooden walls is approached by a set of external steps which lead across the decking to the bi-fold doors that open straight into the open-plan living space. 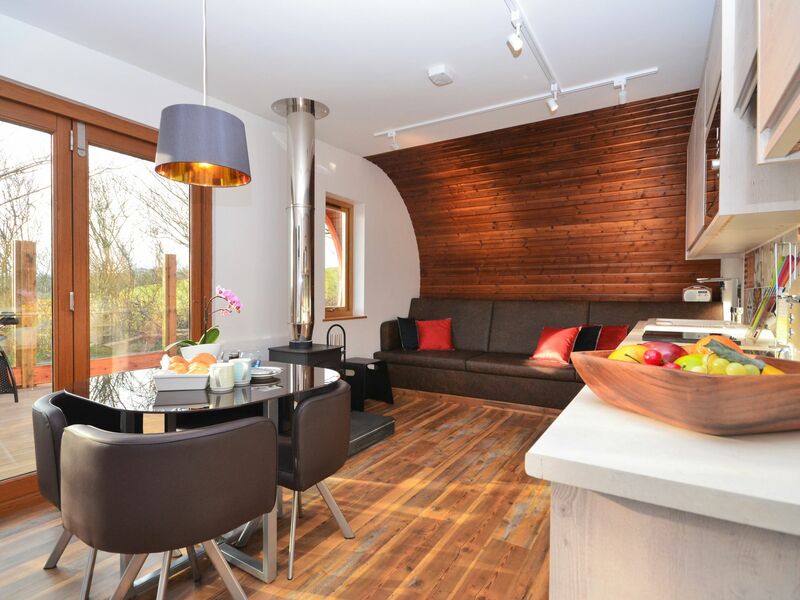 A woodburner keeps the pod lovely and cosy no matter what the weather and a sofa nestled against the curved wall provides a great place to sit back and relax whilst enjoying the Smart TV. 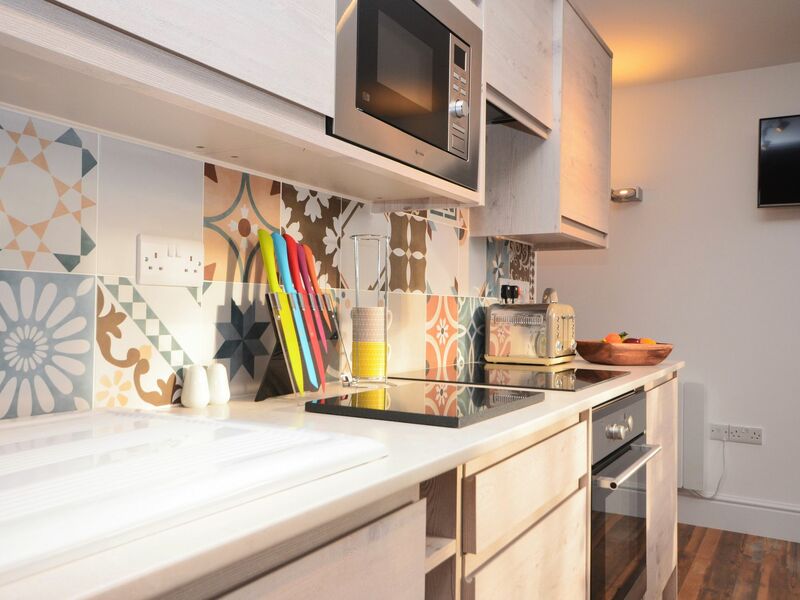 Contemporary kitchen units running along the back wall provide everything that guests will need including an electric oven and hob microwave fridge with ice compartment and a dishwasher. 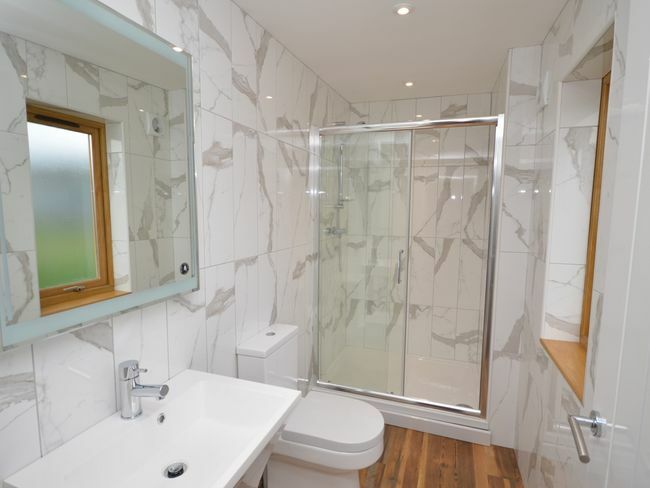 There are two double bedrooms as well as a shower room with WC. 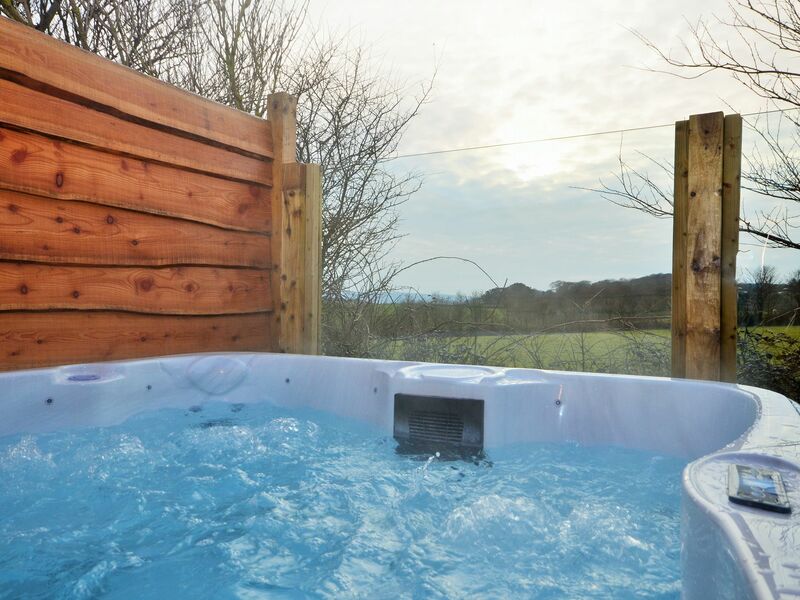 Outside there is a generously-sized decked area to the front and side of the pod with a gas BBQ garden furniture and of course the wonderful sunken hot tub which offers views across the neighbouring countryside. Guests are able to explore the grounds of the pub which are home to a number of farm animals which are always popular with younger guests. 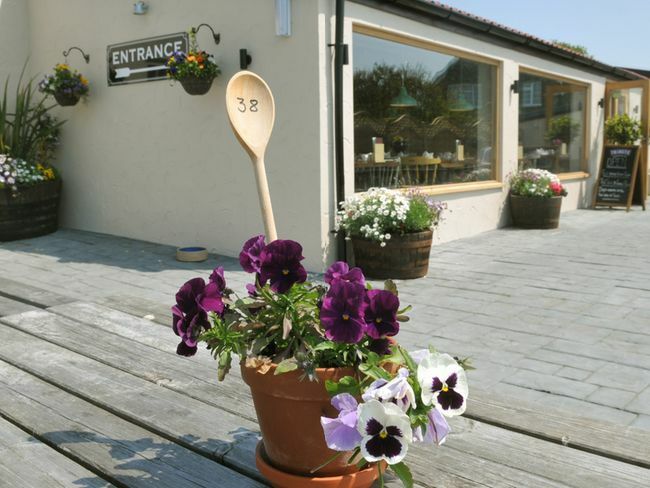 The pub itself is not to be missed and guests may well be tempted to eat there each evening working their way through the tempting menu rather than cooking in the cabin although you should be aware that this is a popular pub and pre-booking is essential. The pub also offers a range of traditional pub games including a boules piste a skittle alley and a range of retro games. There is a parking space available for one car.